Bacteria have often been introduced into soil to promote agriculturally beneficial activities. However, the inconsistent results of many field-trials may be due to differences in survival of allochthonous inoculants that are not well-adapted to the soil environment. A bacterial inoculant will be more likely to survive and express its properties in soil if it can compete effectively with the indigenous microorganisms. 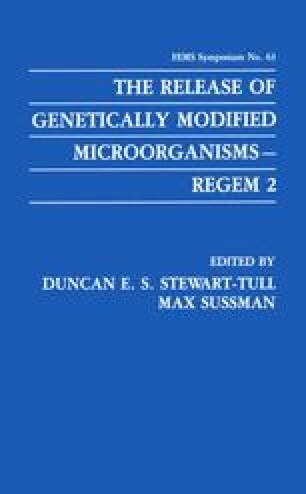 Thus, it may be appropriate to develop beneficial bacteria by genetic manipulation of naturally-occuring bacteria isolated from the target soil.